Beyt Dwarka (also called Bet Dwarka) is an island that is located about thirty kilometres from the town. The island has temples, coral reefs and white sand beaches. The temple dedicated to Lord Krishna here is said to have been the residence of Lord Krishna and his family. It is the main temple that people come to see on the island. The ferry ride to the island itself is a mesmerising experience. 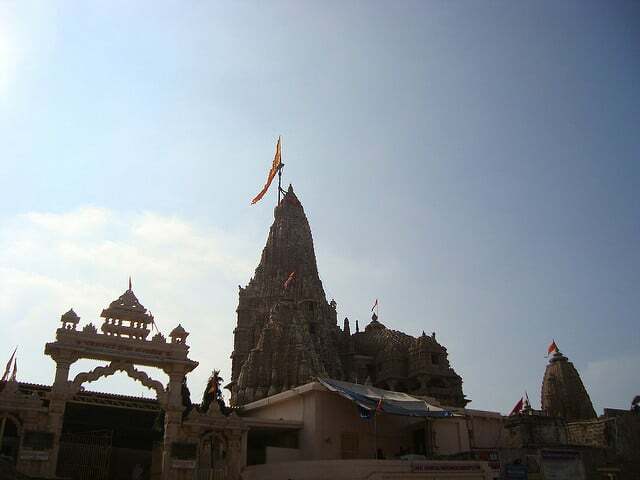 The Dwarkadish temple is also known as the Jagat temple and is said to have been built in the sixteenth century. The temple is located right in the middle of the town and has 60 pillars. There are 56 steps that one has to climb to get to the temple. The main deity is Lord Krishna but there are other shrines as well. The temple is a must visit when you are in the city. 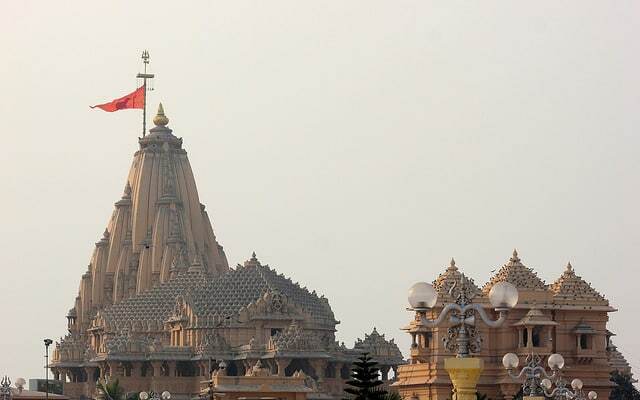 The Somnath temple in Dwarka is supposed to be one of the 12 Jyotirlingas of Lord Shiva. The shrine has been destroyed and rebuilt six times and this is why it is also known as the shrine eternal. This temple is a beautiful marvel of architecture and is known for its historical significance. The Gopi Talav or talab is a pond that is surrounded by sand which is called Gopi chandan. This sand is used by the pilgrims who put tilaks on their forehead using it. The name is derived from the legend that is where gopis would come to see Lord Krishna. The pond is considered as sacred and located just 20 km from the main city. The Rukshamanee temple is for the wife of Lord Krishna, Rukmani. She was known as the most favoured wife amongst the many that Lord Krishna had. The shrine has numerous paintings on the walls that depict the stories of the Lord and his wife. The temple is located on the banks of the river Bhagirathi and can be reached via public transport buses or auto rickshaws. The Dwarka Lighthouse was constructed in the 19th century and today, it is a modern day marvel. 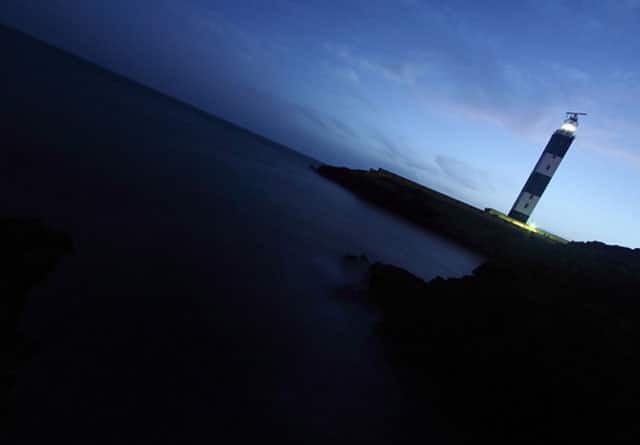 The lighthouse provides a scenic view of the sunset and allows the traveller to take in the serenity of the sea. A must-visit for anyone who wants to take a break from temples and come be closer to nature. The Samudra Narayan temple is located at the Gomati Sangam ghat near the back of the Dwarkadish temple. The goddess worshipped in the temple is the goddess Gomati. In the temple vicinity there are five wells that supposedly have sweet water. Pilgrims can also visit other temples located inside the same complex. There is a cave inside the complex as well where meditation saints can be seen. The temple is a serene and peaceful place to reconnect with the Almighty and take in the beautiful architecture of ancient India. 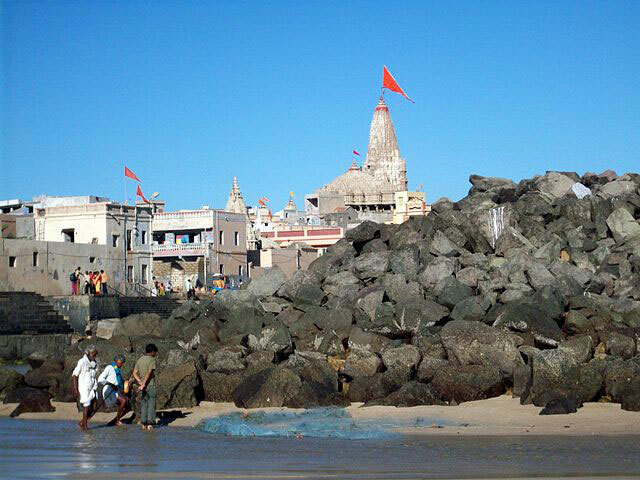 Dwarka is renowned as the centre for religious and historical significance. Archaeologists of the Marine Archaeological Unit rediscovered the submerged town of Dwarka in 1983. Being the hub for various pilgrims, the city has a number of temples and sacred sites that are considered to be very important in Hindu mythology. Dwarka is the place for you if you want to rediscover your roots and pay homage to the God and Goddesses as well as take in the beauty of a place that was once submerged in water.